Summary: Finding a major appliance repair company in Queens was a challenging task, but not anymore. Global Solutions Appliance Repair now offers affordable and trusted repairs of major appliances in Queens, NY. [Time, Place] Established in 2005, Global Solutions Appliance Repair aims to repair major appliances at fair prices to customers. This company has a team of experienced and well-trained technicians who are experts at repairing heavy appliances such as washing machines, refrigerators, dishwasher, and similar gadgets. They believe in offering comprehensive repair services of the appliances so that customers don’t complain about the quality of service. Discarding major electrical appliances may lead to environmental hazards. But if customers decide to repair them, it will not only save the environment but also a lot of money because they won’t have to spend on buying new appliances. Moreover, the budget-friendly repair services from Global Solutions Appliance Repair assure that customers don’t spend a fortune on a new gadget. Most importantly, the goodwill of this company is immense. Customers can try their luck once, and they will never regret it. The confidence of the technicians is what keeps them ahead of the others in the industry. With more than a decade of experience under their belt, the technicians at this company deliver their best performance whenever a customer hands over a heavy appliance. Their expertise in the electrical industry, especially in the major appliances is the secret to their company’s success. The technicians believe in providing high-quality repair services to all laundry and kitchen appliances to make customers’ lives easier. Their fast turnaround time together with the warranty of services has made them the best appliance repair company in Queens, NY. Modern houses have multiple appliances to make household chores easier. However, these appliances may not be long-lasting as the makers promise. Some of them may get damaged after the warranty period. That doesn’t mean it is a necessity to discard them and bring home a replacement. Repairing the appliance may be a more cost-effective solution. 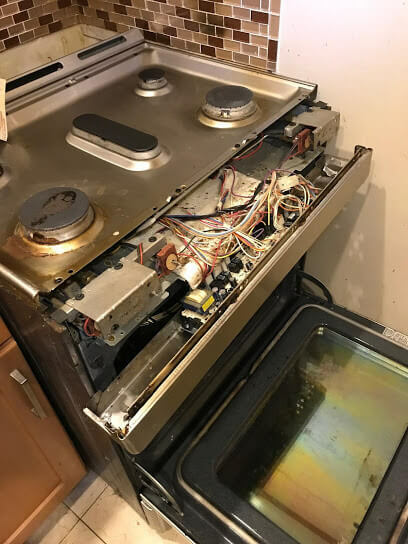 And when Global Solutions Appliance Repair is operating in Queens, customers shouldn’t think twice before hiring them to repair the damaged appliance. Most homeowners forget to maintain the appliances in their house. Whether it is an air conditioner or washing machine, it is challenging to maintain these appliances because of their complex mechanism. But without proper maintenance, these appliances may get damaged after a few years. Technicians from Global Solutions Appliance Repair will not only provide periodic maintenance but will also ensure that they don’t get damaged soon. About Global Solutions Appliance Repair: Global Solutions Appliance Repair is the leading service provider for repairing major appliances in Queens. The team of technicians makes sure that they leave no stone unturned to make a nonfunctional appliance revives to a working condition. Their dedication towards their job and the quest to make customers happy drives them to provide high-quality repair services. Moreover, their service charge makes it a pocket-friendly experience for the customers.